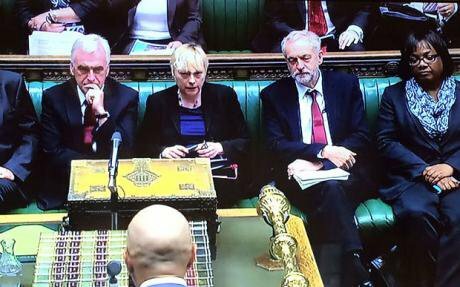 The Labour party isn't getting back in its box, and Blairite MPs won't get the careers they want from it anymore. I’m writing on behalf of hundreds of thousands of Labour party members; some new, and some, like me, who have been loyal party members throughout our adult lives. I’m not writing to any one of you in particular. The ones I’m addressing will know who they are. It’s time to talk about us. Come on now. We all know this was never much of a relationship. We never really liked you, and you certainly never liked us. The whole New Labour project was based on effectively creating a new party, which as far as possible just ignored the old structures of branch meetings and conference resolutions. The leadership spoke to the membership of this new partly directly, via a sympathetic media, while minimising opportunities for members to talk to each other. Key decisions like the revision of Clause 4 and the election of a leader were made via postal ballots, with almost no deliberative discussion or campaigning. A plebiscitary model replaced the old, complex party democracy. Members were a passive body who were expected to ratify leadership decisions, make regular contributions, perhaps help to get the vote out at elections, and otherwise remain silent. ‘Activist’ was a term of abuse. In this new party, the career success of an MP depended almost entirely on how well they could perform a very particular role, always staying ruthlessly on-message, embodying in dress, posture and vocal manner a kind of vaguely classless aspirational culture largely modelled on the behaviour of upper-middle management in the City, or the more conservative media and PR companies. Tony Blair was the template and Peter Mandelson the ultimate arbiter of success: the chief casting-director of the permanent performance which was New Labour. You were great at playing this role. Unfortunately, that part has been written out of the script now. So why not move on, eh? Some of you, we know, really do remain committed to a particular moral vision of meritocratic free-market capitalism, in which social inequality is tolerated - even encouraged - but equality of opportunity is enabled; provided that the only opportunities anyone asks for are those offered by the corporate financial and media sectors (or perhaps, at a stretch, the less political sections of the voluntary sector). Those of you who really do adhere to that as a moral vision, however limited, should of course stay and fight for what you believe in. So should those members of other tendencies who have genuinely-held beliefs which don’t happen to coincide fully with those of the new leadership. But many of you don’t. Instead you simply accept, as you always have done, that there is nothing worth knowing or caring about beyond the world of the corporate elite, its assumptions and its interests, and you have yourselves sought a route to prosperity and advancement in the service of that elite: a route which happens to have taken the form of becoming a Labour MP. The thing is - and we know this is hard for you to take on at first - that route is closed for now, and doesn’t look likely to open up again any time soon. The members have returned en masse, and we’re not getting back in our boxes any times soon, no matter what happens to Jeremy Corbyn and his leadership. Being a Labour MP just isn’t going to be a good way to serve, and then join, the global elite class any more. Because - let’s be honest - if you really ask yourself, isn’t it true that that’s what you were really hoping for out of this job? It’s nothing to be ashamed of. You wanted a way into the upper reaches of the professional classes, and becoming an MP is still frankly more interesting and a bit more glamorous than just working your way up through the City or the commercial media. It’s a career path that even carries with it a decent enough chance of following Blair and others to the heights of the global, billionaire-befriending, super-elite; and if not that, then at least to some Bilderberg meetings, or Davos. Nobody can blame you. You’ve done nothing illegal. Mostly. But it’s not going to be like that any more. You’re going to be under increasing pressure from a membership whose values and priorities you have never shared, and a corporate class which will become increasingly irritated by your inability to pacify that membership. There is no mechanism for you just to get rid of Corbyn, however badly he may perform, and even if he goes, the membership are just going to be looking for a younger and more dynamic model of basically the same thing. It’s going to be a dreadful bore for you. At best, if you stay on in this job, you’ll have to join your political - but not spiritual - allies, the remnants of the old Labour Right, with all their dogged loyalty to party traditions and their tedious personal integrity, committing yourselves to the gruelling task of just being a good constituency MP for many years. At worst you’re going to face embarrassing re-selection battles and the derision of your Tory counterparts. You know from the experience of New Labour that a whole new party formation can be created in a very short time. This is exactly what’s happening now. Against all expectations, Labour is transforming into a mass democratic socialist party. Whatever happens to that party, it isn’t going to change back into the one you had a home in. So why not save us all the pain? Why not just move on? Follow your heroes David Miliband and Alan Milburn into the corporate end of the NGO sector or the private healthcare industry. Take up those City consultancies. Become a TV historian. Let someone who actually wants the job of being a Labour MP in this new party take it up. Avoid the conflict and the mess and the mutual recrimination. We’ll be better off without each other. *Jeremy has replied to critics of this article below, in the comments. **John McTernan has written a response here.